Conceptual redesign of the Land Rover website for a pitch to Land Rover UK by London agency Keytree. 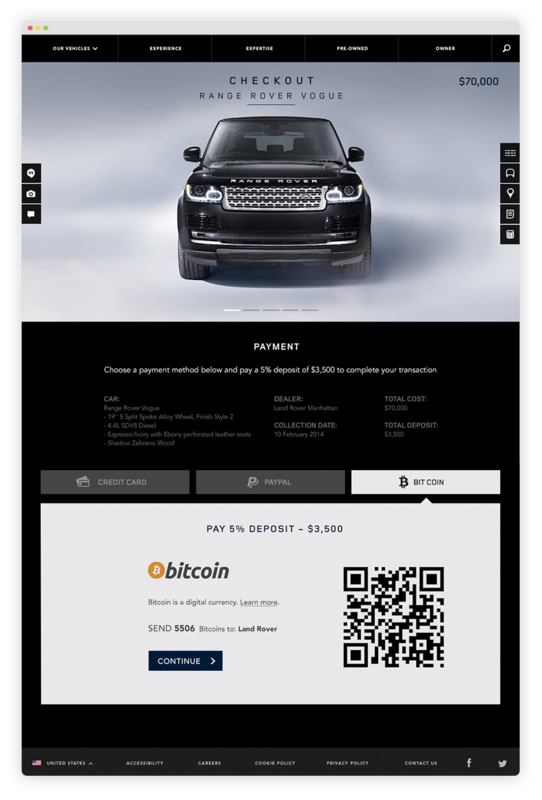 The designs concentrate on innovate ways of delivering the online car purchasing experience, combining social media, reviews and other interactive features. Users can screen-share with their friends whilst they customise their car via Google Hangouts, then narrow down their decision based on local dealer availability. Key events in the construction process can be video-cast to users via Twitter. I was the sole designer and worked closely with Keytree’s creative director, and their UX designer to create all of the necessary visual assets. I also designed a dynamic final presentation in Prezi to be used in the meeting with the client. The presentation focused on the entire customer journey, and key interactions with the brand throughout that process. I previously worked for Keytree in the UK. 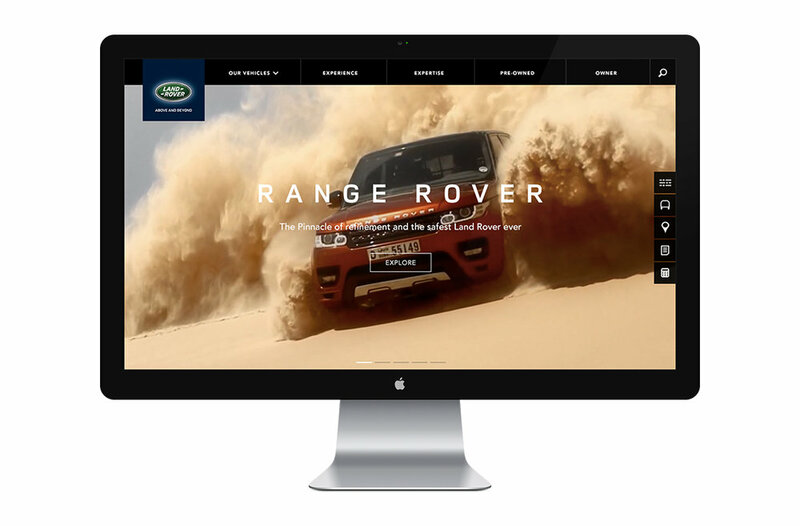 Jaguar Land Rover (JLR) was a major client, and I had designed two separate projects for Jaguar and Land Rover. After returning to Australia, I continued to work for Keytree on a freelance basis. This particular project was designed remotely from Perth, using Skype and Invision to manage the project and make sure all deadlines were met. Designed remotely from Perth for Keytree, (UK), 2014. Users can customise the car's specs online including colour, extras, wheels, interior and drivetrain. 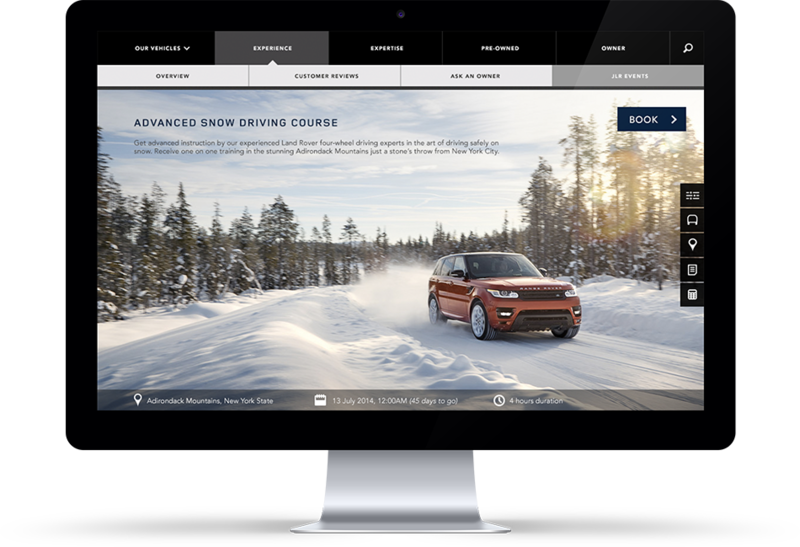 There are special events that Land Rover owners can attend, such as advanced driver training courses. Customers can pay a 5% deposit online via credit/debit card, Paypal or Bitcoin. 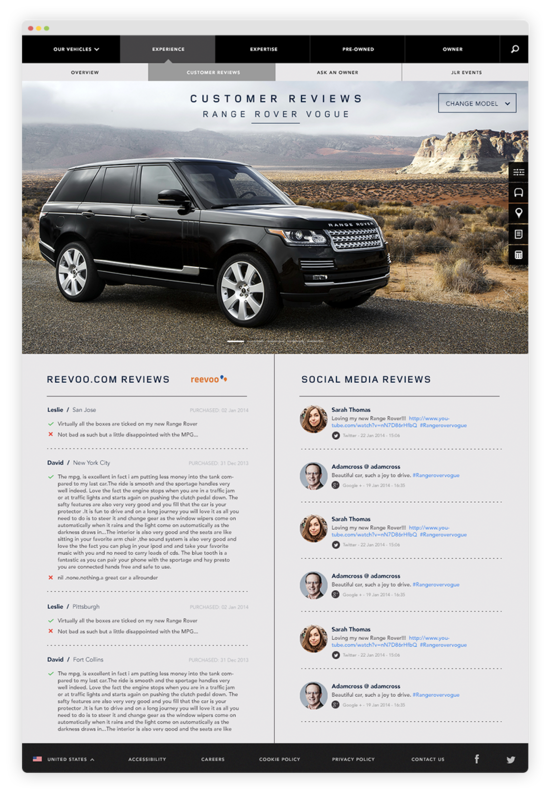 Reviews from other Landrover customers are displayed from Revoo.com and other social media platforms. Above: Key events in the construction process can be live video-cast to customers via Twitter. Prospective customers can ask questions of people who already own the cars. Key navigation items accessed on the right side of the screen. User ratings from Revoo.com are displayed for key aspects of the car's performance. 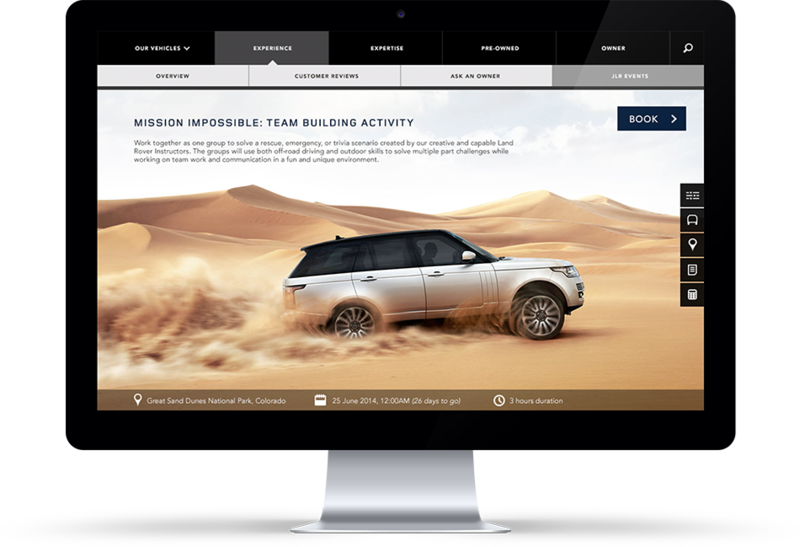 Pitch presentation created in Prezi to be shown to Landrover staff.